A wide variety of individuals work for St John either as employed or give up their time and skills to volunteer, and the organisation relies on all of them to help provide a wide range of essential services in the community. In this, the first of our series, we caught up with Sarah Staples, who volunteers as a Community First Responder and for St John Event Medical Cover. Sarah first undertook a first aid course at St John last year and found herself hooked. ‘I work as a learning support assistant in a primary school and we were required to do the course. I enjoyed it so much and found the trainers so inspiring that I decided to become a volunteer myself, ‘she says. Sarah went on to join one of the evening group at the Rohais HQ and has continued to learn new skills and become increasingly involved in the voluntary side of the organisation. 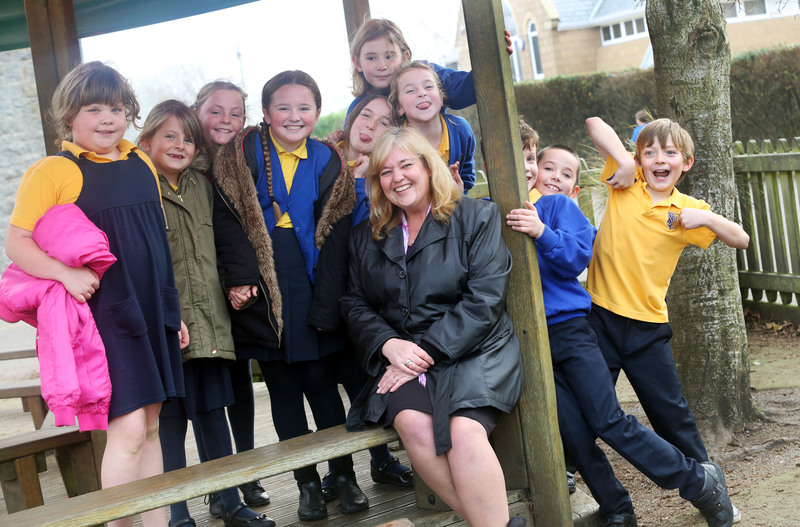 She has learned a variety of procedures from CPR to using defibrillators and she feels able to cope with a wide range of emergency first aid situations. 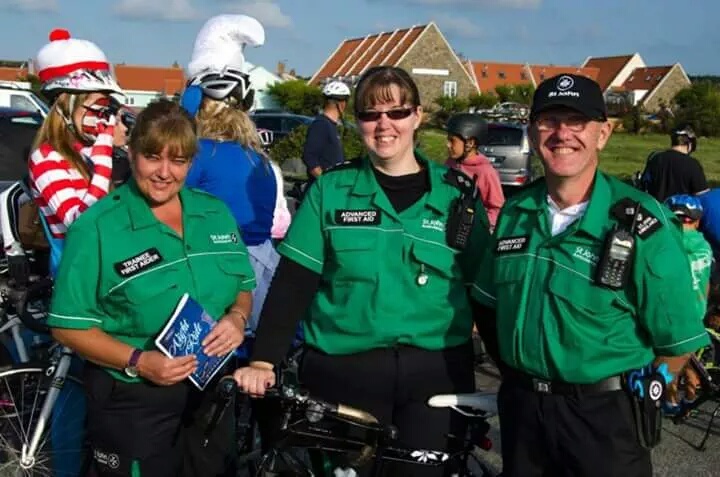 Since last year Sarah has put in a lot of hours as a voluntary first aider attending sporting tournaments and public events such as football matches and sand racing. She has also completed her First Person on Scene course so she is now qualified to be called upon as a Community First Responder if there is an emergency in her area. Sarah feels getting involved with St John has changed her life for the better and would like to encourage anyone who might feel able, to get involved too. We are grateful to the Guernsey Press for use of the main photograph and text published in a feature in January 2017.